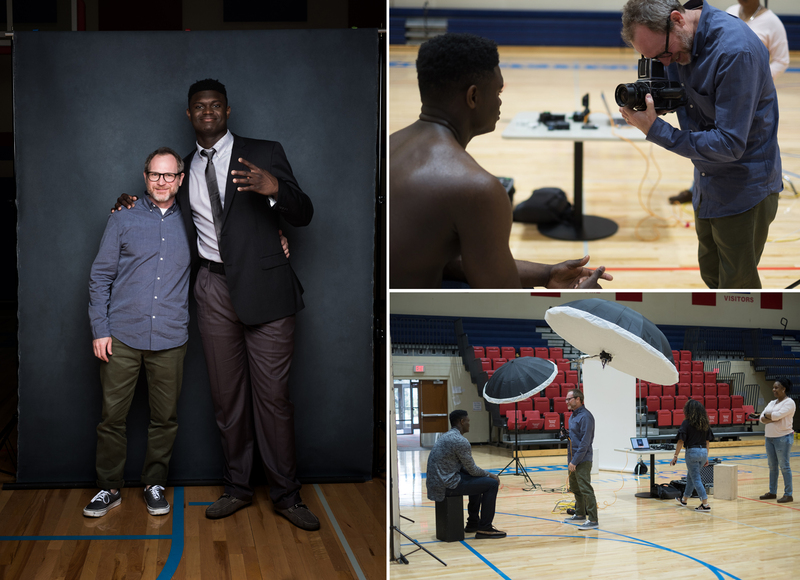 After watching Zion Williamson fly through the air and be all business on the court, I enjoyed spending some one-on-one time getting to know a sillier side of this star athlete and all-around nice guy. I recently had the pleasure of photographing Zion in the gymnasium at the Spartanburg Day School. It was here that he gained national attention, became the #2 recruit and signed with Duke. My time with him during our shoot was spent swapping stories about embellishing our height, listening to Drake and listening to him and his mother expertly quote "Coming to America."